Watch cool films and then go grab some drinks. Great art leads to great conversation and this week, the annual Bushwick Film Festival, one of the city’s largest festivals is back in town. Get a rundown of the events here and keep reading for our favorite spots to grab a drink before or after your favorite screening or panel. -Yours Sincerely is near Lightspace Studios and a few other festival venues. All their cocktails are on tap and served in little beakers and it’s a great spot to try something new, especially during $5 cocktail happy hour (from 5 to 8 each day). Snag a booth in the back to continue your conversation. -Alphaville has everything you could ask for in a bar: burgers and nuggets served until 3 am. They also have 9 dipping sauces, including maple dijon and jalapeño mayo. Don’t worry, their drinks are good, too. It’s cash only and worth a visit because movie watching definitely works up an appetite. They have frequent concerts so check the schedule. -The Narrows is a (shocker!) narrow bar on Flushing with a good beer selection and a creative cocktail list. Their bartenders can also make custom drinks and we like to ask for something with ginger, lime, and tequila. It’s cash only and you should definitely visit the backyard if the weather stays nice. -The Well is conveniently located near Chemistry Creative and it fits a crowd. Their daytime weekend happy hour offers select 2 for 1 drafts and they have a great sour beer selection. A pro tip: you can bring your own food and there’s tons of room in the backyard. 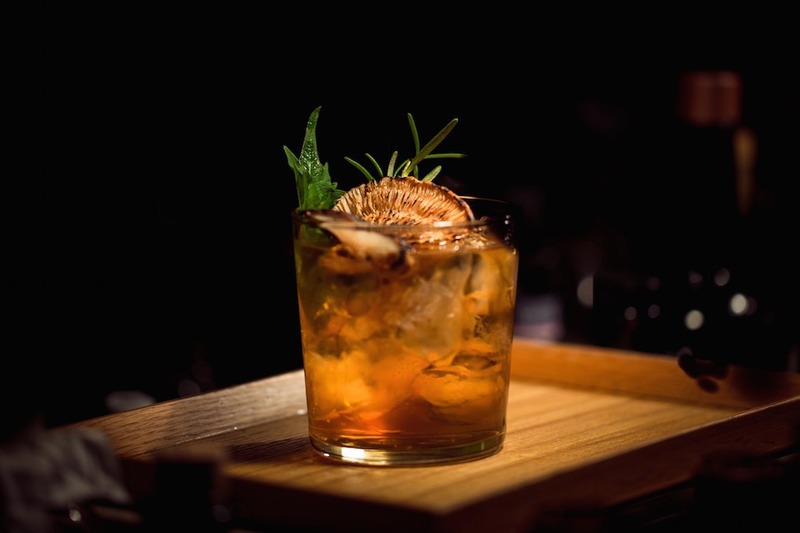 -Interboro Spirits and Ales serves up Brooklyn made beers and spirits. Watching movies can really get the creative juices flowing so if you want to try something new and geek out on the beer making process, this is the spot to visit.